Speaking to the Israeli radio station 103FM, Israel's Defense Minister Avigdor Lieberman said that although there are several dozen Iranian "so-called advisors" in southern Syria, there are no forces there disguised as Syrian army forces or operating within its ranks. 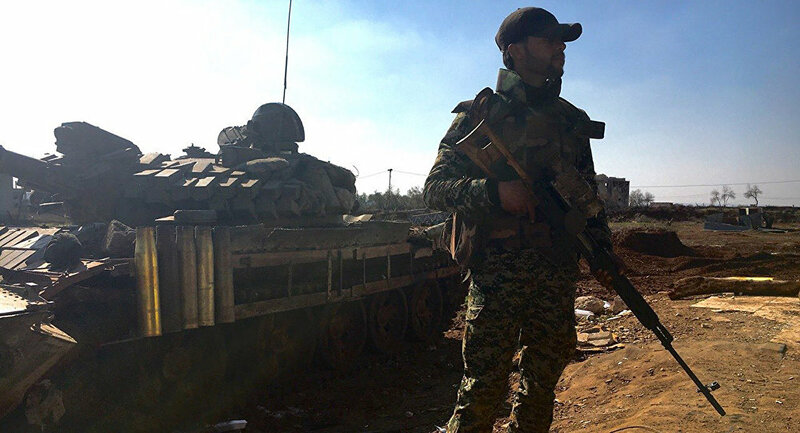 Last week, The Wall Street Journal citing senior Syrian rebels who claimed that Iranian troops and Hezbollah fighters dressed in Syrian army uniforms were present in southern Syria. Earlier, Russia, the US, Jordan and Israel discussed the withdrawal of all non-Syrian military formations from the southern de-escalation zone on the country's southern borders with Israel and Jordan. Tel Aviv insists on the withdrawal of the alleged Hezbollah and Iranian military presence in the country, and has vowed to pursue a military campaign against these forces on Syrian territory. "Israel's demand on the Syrian issue is very clear, and involves the complete removal of Hezbollah and Iran from Syrian territory…These are not just broad generalizations; Israel actively demonstrates and promotes its position," the IDF's press service said, citing the defense minister. The Israeli Air Force has carried out airstrikes on Syrian territory throughout the Syrian civil war. The latest attack took place May 10, when Israeli jets fired over 100 missiles at targets it claimed were Iranian troops after several dozen rockets were fired at IDF positions in the Golan Heights. Damascus has repeatedly slammed Tel Aviv for what it characterizes as Israeli aggression. Tehran has denied that it has forces in the country apart from advisers assisting Syrian forces in their fight against the jihadists. On Thursday, Washington urged Russia to prevent Syrian troops from carrying out an offensive in the southern de-escalation zone in southwest Syria, warning that it would take "firm and appropriate measures" if it did so. Earlier, Syrian President Bashar Assad said that Israel and the US were pressuring the "terrorists in that region" to prevent a peaceful solution to the liberation of the south of Syria.